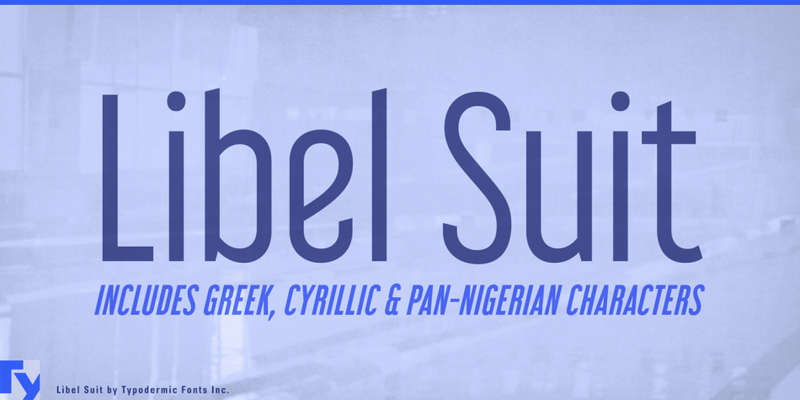 Libel Suit is a display sans family typeface published by Typodermic Fonts Inc. which is available in 6 weights & italics, Open Type Stylistic Alternates and multilingual support. Love it! A font description published on Monday, September 26th, 2016 in Foundry, Typodermic Fonts Inc. by Alexandra that has 1,730 views.